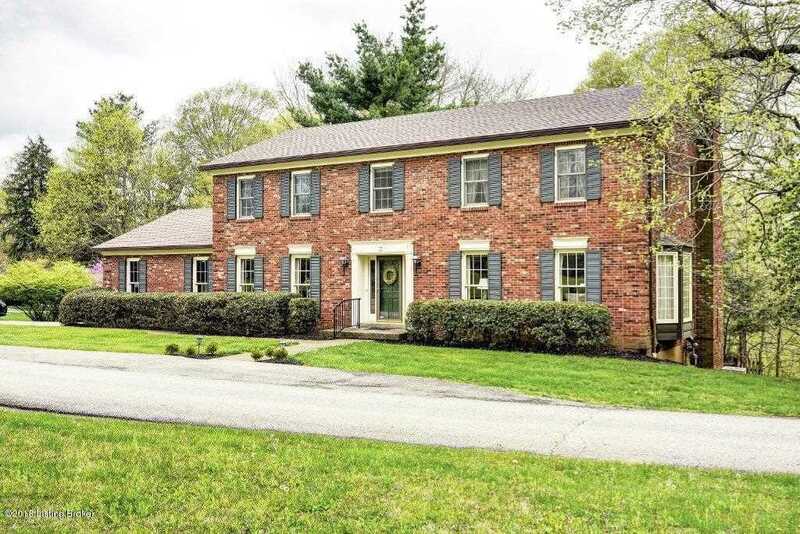 After 42 years of happy living in this custom built 2 story traditional house on 1.3 private acres on the coveted circle of River Hill Road, the sellers are downsizing! There is finished area of 4,180 sq ft with 4 bedrooms, 2.5+ bath (plus a separate shower room on the 1st floor), formal living and dining rooms, large family room with fireplace, and a glassed-in year round porch. The large eat in kitchen even has an outdoor deck for dining. Toward the 2.5 garage from the kitchen is a laundry room and separate shower room. The second floor has 4 spacious bedrooms and two full baths. The finished walkout lower level (approx 680 sq ft) has a great family room with a wood burning fireplace and opens to an aggregate patio connecting to the multileveled upper decks. Also in the lower level is 840 sq ft of unfinished area (great for storage or expansion.) The treed views in the rear and the expansive front lawn views are truly spectacular! Sellers even have plans for a first floor master bedroom. LGE averages $233, H2O averages $94. This opportunity does not come along often! SchoolsClick map icons below to view information for schools near 35 River Hill Rd Louisville, KY 40207.